The Mum Blog is one of the UK’s top travel blogs and top British lifestyle blogs, and it’s written by me, Liz Jarvis. I’ve been a leading British mummy blogger and travel blogger since 2009 and I’m also a travel journalist and family travel expert. I started blogging about my parenting journey in January 2009 and launched The Mum Blog in April 2011. In October 2011 I was named a must-read blogger by MadeforMums. 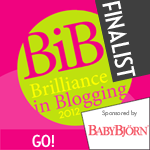 I was shortlisted in the Outstanding category in the 2010 British Mummy Blogger awards, was a finalist in the 2012 Brit Mums awards in the Go! (best travel blogger) category, and shortlisted in the Outstanding! category. 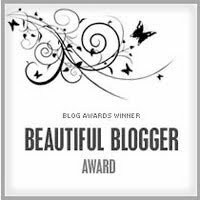 In 2013 I was named as one of the Top 20 Travel Bloggers on Twitter by Mytravelmoney.co.uk, and I was a finalist in the ‘travel’ category at the Brit Mums awards. 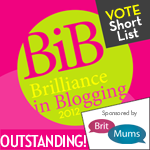 In 2014 for the third year running The Mum Blog was a finalist in the ‘travel’ category of the Brit Mums Brilliance in Blogging awards (#BiBs2014) and The Mum Blog was named as one of the Top 10 UK Family Travel Blogs by Cision. 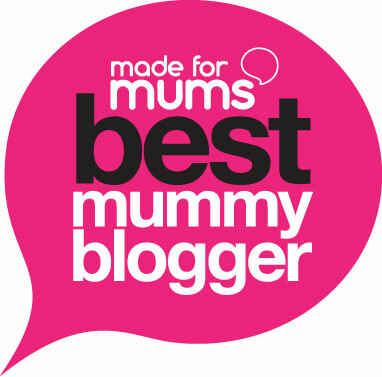 In 2015 The Mum Blog was shortlisted in the ‘travel’ category of the BiBs. I’m a member of the Mumsnet, Netmums and Brit Mums Parent Blogger networks and have also contributed to Have a Lovely Time and contribute regularly to AOL Travel and the Huffington Post. I’m a London-based British mum blogger and on The Mum Blog I blog about things that interest me and my family – that includes travel, movies, gaming, beauty and chocolate *cough*. I’m proud to have been invited to be an ambassador for brands including XBox and Disney Blu-ray and Royal Caribbean International and to work with charities including Unicef. In my day job I’m a journalist and senior editor specialising in travel, lifestyle, celebrity, real life and parenting. I’ve also spearheaded several successful blogger outreach campaigns, including most notably the Tesco Mum of the Year awards. I’m a family travel expert with years of experience and always happy to provide soundbites or quotes. You can view a small selection of my work here. The Mum Blog has been featured on radio including BBC Radio 4 and BBC London, and in publications including The Telegraph, The Times, The Sunday Times, Travel Mail, parentdish, Practical Parenting & Pregnancy, Tesco magazine and goodtoknow. 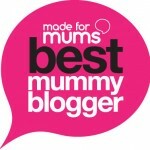 Do you want to work with one of the UK’s leading travel bloggers and best British mummy bloggers? I am always happy to hear from PRs with relevant invites, review opportunities or competitions, but please read this post before contacting me (and I’m past the nappy stage). You can get in touch via the contact form. From time to time I review products that have been sent to me that I feel will be of interest to my readers. I always make it clear that these are reviews, and I am always honest in my reviews. Occasionally I will write a post about a product or company because a) I feel it’s a good fit for the blog and b) I have been incentivised to do so, but I always make it clear that it is a ‘featured’ post, and I always retain complete editorial content in all my posts. No one ever tells me what to write on my blog – ever. 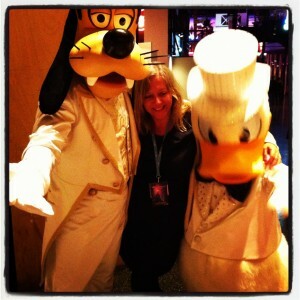 I accept advertising on The Mum Blog, if I feel it’s a good fit with the blog. Please get in touch via the contact form giving me a brief outline of the kind of thing you’re looking for. *The winners of all competitions will be notified as soon as possible after the closing date. Unless otherwise stated the competition closing time is midday – 12pm – on the closing date. *Unless otherwise stated winners will be chosen at random using random.org and no correspondence will be entered into. Winners’ names are always published on the relevant blog post once they have been chosen. *The prize will be sent out as soon as possible after the closing date, subject to availability. There is no cash alternative to the prize and the prize is non-refundable and non transferable. The promoter reserves the right to substitute the prize for a prize of equivalent or greater monetary value if this is necessary for reasons beyond their control. *Winners must accept prizes within 28 days of notification or a redraw will take place. *Sorry, but competitions are open to UK residents only, and it’s 1 entry per person unless otherwise stated. No responsibility will be taken for entries that are not successfully submitted in time. *This is my personal space. I love having visitors, but I won’t put up with any offensive or abusive or libellous comments directed at me or anyone else and will remove them immediately. Trolls will be banned for life and banished back under the bridge from whence they came. *The copyright of this blog belongs to me and I will act swiftly in the event of plagiarism. Congratulations on such a great blog, I loved your post on your two days in Lyon. I do hope you come back and visit us soon: if you liked Fourvière at night in March, you should see it during the Festival of Lights. Breathtaking! Do not hesitate to come take a look at our website (link in name) and leave some of your thoughts and feelings about your trip: we love hearing our tourists’ opinions! Bonne journée!